No one can predict the unexpected challenges life can throw our way. 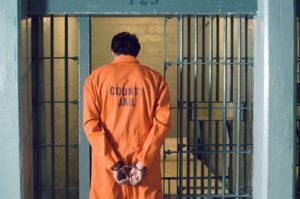 That includes when you or a loved one is arrested in Ocean Springs, MS. To secure your freedom and return to some semblance of normalcy, you need fast help from D&D Bail Bonds. We offer 24/7 bail bond services in Ocean Springs, MS, for a community we care about! When we say 24/7 bail bond services, we truly mean day or night. It could be midnight, on the weekend, on a holiday. Our licensed bail bond agents are some of the best in the business, all thanks to their timeliness and professionalism. When you need to secure the freedom of a loved one or yourself, pick up the phone and give us a call. At D&D Bail Bonds, we look past the charges you are facing. We only hope to help the community better understand the legal system and fight for their freedom. No matter the type of bail method you select, our licensed bondsmen offer the quickest and easiest jail release in Ocean Springs, MS.
We also offer mobile bond delivery. Once the bond is approved, we can be at the jail or holding facility within 30 minutes in most cases. You never have to wait too long for a quick jail release! Located in Jackson County, Ocean Springs is just two miles to the east of Biloxi and west of Gautier. As such, Ocean Springs is situated perfectly for a weekend jaunt to the casinos or beach, or perhaps some shopping along the waterfront! For immediate bail bond services 24/7, call D&D Bail Bonds at (228) 467-0821. Speak with a certified bondsman today to secure a quick jail release in Ocean Springs, MS! We serve entire Springs MS 39564, 39566.